Earn Samsung Rewards Points and be rewarded every time you use your Citi credit card on Samsung Pay. 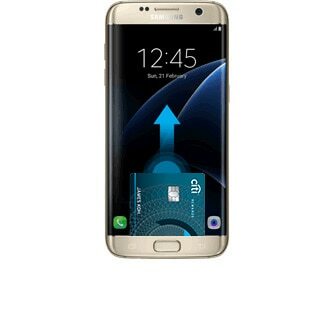 Add your Citi credit cards to Samsung Pay in a few simple steps. Use Samsung Pay at your favourite stores. Whether you're at the latest café, the nearest supermarket, or your favourite boutique - you're good to go. Samsung Pay is a secure and easy-to-use mobile payment service which can be used to make purchases with almost every retailer in Malaysia. 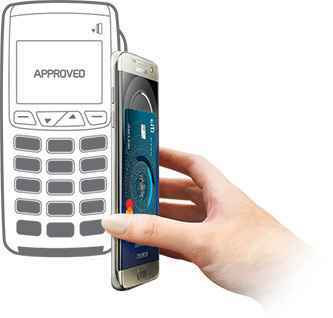 Samsung Pay uses a new proprietary technology called Magnetic Secure Transmission (MST) and Near Field Communication (NFC) to make mobile payments more accessible to both merchants and consumers. 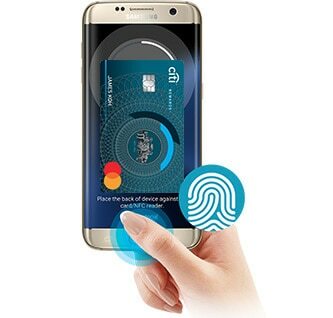 Samsung Pay uses proprietary Magnetic Secure Transmission (MST) and Near Field Communication (NFC) to make contactless mobile payments. MST and NFC enables the Galaxy S10e/S10/S10+, Galaxy Note9, Galaxy S9/S9+, Galaxy S8/S8+, Galaxy S7/S7 edge, Galaxy S6 edge+, Galaxy Note8, Galaxy Note5, Galaxy J7 Pro, Galaxy A8/A8+, Galaxy A9 Pro, Galaxy A7/A5 to make secure transactions with almost every retailer in Malaysia. **For the verification purposes, you must be located in the same country of the participating bank when adding a payment card in Samsung Pay. Samsung Pay uses tokenisation, a Secure Environment, and Samsung KNOX to secure your payment information. In addition, you can verify either with your fingerprint or a 4-digit PIN when making purchases. Tokenisation is a method of replacing your sensitive payment card information (Card Number, Expiration Date, Security code, etc.) with a device-specific 'Token' which acts as a surrogate value. In mobile payments, 'Tokens' are used to protect your payment information and to reduce the security risks inherent to plastic cards. In addition, Samsung Pay will not have access to your Citi accounts. Please contact CitiPhone at 03-2383 0000 to report lost or stolen card. The Device Card Number(s) of your Citi credit cards enrolled on Samsung Pay on the device will be blocked. You can continue to use your cards via other channels. You can also use Samsung's Find My Mobile service to Lock Samsung Pay (remotely disable) or to Wipe Samsung Pay (remove all the payment cards registered onto your device), while still being able to use your Citi cards via other channels. For Galaxy S7/S7 edge, Galaxy S6 edge+, Galaxy Note8, Galaxy Note5, Galaxy J7 Pro, Galaxy A8/A8+, Galaxy A9 Pro, Galaxy A7/A5 users, check that your device is on the latest Android version. Which Citi credit cards will work on Samsung Pay? All Citi Visa and MasterCard credit cards issued by Citi Malaysia are eligible for use on Samsung Pay, except for Shell Citi, CitiBusiness, Citi Commercial and Citi Travel credit cards. Citi Debit & ATM card, as well as Citi Ready Credit Visa are also not eligible at this time. Which devices will support iris image authentication for Samsung Pay? Click here for the full list of FAQs. You can compare credit cards to find a card that best suits your needs and rewards your lifestyle. Apply for credit card from a wide range of selection at Citibank Malaysia.